Costumes Are Mandatory is very collegially advertised as a collaborative album featuring Ethan Iverson, Lee Konitz,Larry Grenadier, and Jorge Rossy. And while the music may indeed be collaborative, even multi-improvisational at times, it's Iverson's date and he's very clearly the leader. The record is envisioned as an homage to—"a dialogue with," according to the liner notes—the late blind pianist Lennie Tristano, who in addition to generally being credited as a founder of the 'cool school' (an oversimplification, to be sure), and an early avant-garde pioneer, was also a primary teacher and influence on Konitz (as well as tenorist Warne Marsh). Though he is often thought of as being a somewhat separate musical line from bebop, he was nonetheless a great admirer ofCharlie Parker, playing on many of Bird's early recordings in the late 1940s, and later serving as a pallbearer in his funeral. Strangely, given its stated intent, there isn't a single composition credited to Tristano on the record. Iverson is well represented though, opening with his "Blueberry Ice Cream take 2" a relatively conventional blues with a quick walking bass line and catchy melody. The direct connection to Tristano is, of course, Konitz who's own playing in recent years has become freer, with very little melodic structure. Iverson lays out for Konitz' compact solo which has an airiness to it that floats above the straight-ahead structure of the tune. Iverson's piano work is, in places, more reminiscent of Thelonious Monk than Tristano. The intro to "Try A Little Tenderness" is very reminiscent of Tristano's melancholy "Requiem" featuring broad, well- sustained chords before Konitz and the rhythm section rejoin with the melody. Konitz' straight ahead statement of the tune is uncharacteristic of much of his recent playing, and he barely deviates at all leaving the improvisation to Iverson. "It's You (Tempo Complex)" pulls a Tristano trick right out of the hat by overdubbing two pianos to psychedelic, effect. At only one minute long it's enough to convey the effect without overpowering the surrounding tracks. The following straight acoustic version of the song delivers some of Konitz' best most Konitz-like improvisations: loose and searching, endlessly inventive, but still melodic and delightful. According to the liner notes Konitz declined to play on "Blueberry Hill" stating "Sounds like something The Bad Plus should play instead." Costumes Are Mandatory might work best because the music and the musicians have either approached Tristano with completely different competing musical influences, or in the case of Konitz, having completely absorbed then transcended his former mentor. They're not trying to imitate Tristano, but they forge just enough of a connection to make a truly interesting record that's worth seeking out. Blueberry Ice Cream take 2; Try A Little Tenderness; It's You (Tempo Complex); It's You; What's New; 317 East 32nd; Body And Soul; Blueberry Hill; A Distant Bell; Bats; Mr. Bumi; My New Lovers All Seem So Tame; My Old Flame; Blueberry Ice Cream take 1. Ethan Iverson: piano; Lee Konitz: alto saxophone, vocals (track 13); Larry Grenadier; Jorge Rossy. Em meio às comemorações pelos 50 anos de carreira de Milton Nacimento, o pianista, maestro e compositor Leandro Braga reúne temas consagrados de Bituca no delicado “Fé Cega”. Construído em formato de suítes, o CD traz versões instrumentais para sucessos como “Ponta de Areia”, “Maria, Maria”, “Fé Cega, faca amolada” e “Nada será como antes”, além da participação especialíssima de Milton em “Beco do Mota”. Como um dos mais requisitados músicos e arranjadores da atualidade, Leandro Braga participou de musicais como “Evita” e de inúmeros projetos de Ney Matogrosso, Chico Buarque, Edu Lobo, Adriana Calcanhotto, Marcos Valle, Simone e tantos outros. O CD “Fé cega”, sétimo na discografia de Leandro, termina com um tema composto pelo maestro, chamado “Sonho de Juventude”. Those listeners enamored with the classic sound of hard bop modernism that Blue Note propelled in the '50s and early '60s will be well served by Argentinian label Rivorecords whose catalog basks in the swinging sounds of the past, but adds a contemporary touch of urgency. Label boss Justo Lo Prete has found a winning formula: top-notch Argentinian jazz musicians playing hard bop classics and standards in sophisticated arrangements, with the occasional original thrown in for good measure. All packaged in luxurious digipacks with distinctive design and beautiful photos. This must be the dream of every collector and music lover who wants to relive the past in the present. 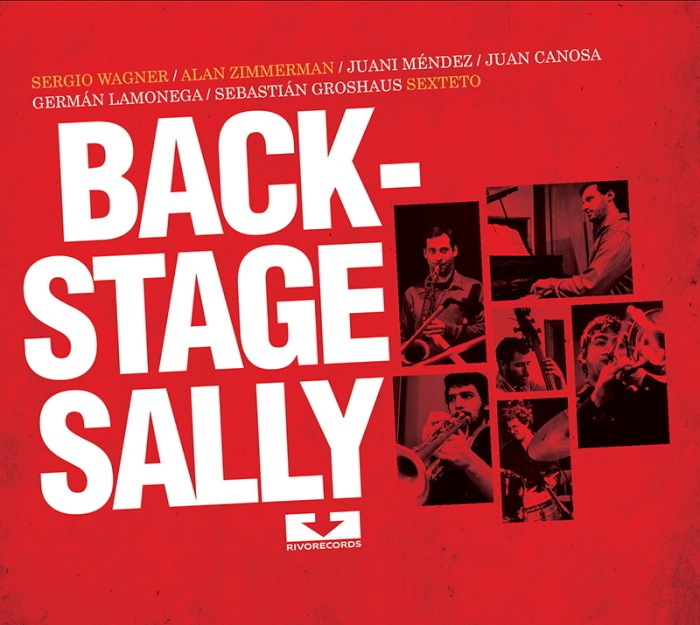 Backstage Sally is another classy entry in the catalog of Rivorecords. Trumpeter Sergio Wagner and pianist Alan Zimmerman lead a sextet that discovers new magic in old themes like Jimmy Van Hausen's "Darn That Dream" and Jimmy Mchugh's "On the Sunny Side of the Street." It's a band that smokes and a tune like trombonist Curtis Fuller's "The Egyptian" is right in the moment, with fiery, razor-sharp brass exchanges between trombonist Juan Canosa, saxophonist Juani Méndez and Wagner. Trumpeter Kenny Dorham is also saluted on congenial interpretations of "Sao Paulo" (misspelled Sao Pablo) and "Lotus Blossom," but Backstage Sally isn't so much an homage to a particular artist as it is a revitalization of an entire sound and tradition. The spirit of hard bop lives on Backstage Sally. Mariano Loiácono is one of the newest personalities on the scene. I Knew It, his début album with original compositions, was releaed in 2008. Loiácono has an interesting voice in the neohard-bop style. 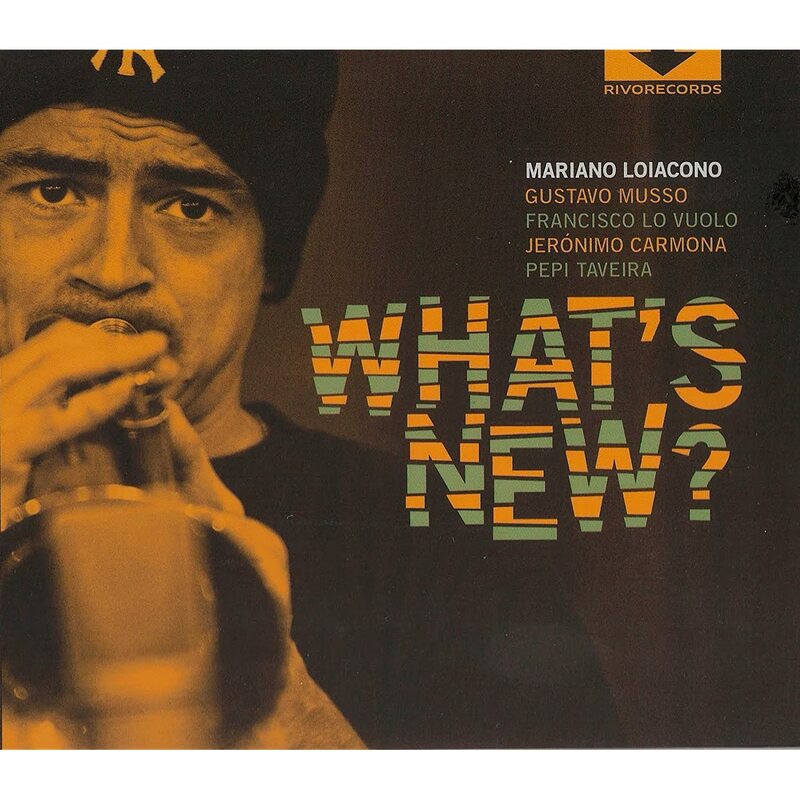 What´s New? Works in that same direction too, evoking the formidable sound of groups form the late1950s and 1960s, like Art Blakely and the Jazz Messengers, or the combos led by Max Roach-Clifford Brown, and Julian Adderley. Here the group is made up of Gustavo Musso on tenor sax; Francisco Lo Vuolo, again, on piano; the ever inspiring Jerónimo Carmona; and Pepi Taveria, the master of modern jazz drummin here. Sebastián Loiácono and Ramiro Flores join the group onseveral tracks, both on alto sax. Together with the band, they play a superb version of Work Song , a classic from the hard-bop era, rendered at high speed and keeping the spirit needed by this emblematic tune, which sounds good and lifts up even the laziest soul. 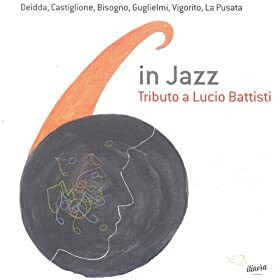 Per la serata inaugurale prevista la band campana 6 In Jazz con "Omaggio a Lucio Battisti". Tutte le domeniche di febbraio, il prestigioso teatro salernitano vedrà avvicendarsi sul proprio palco grandi nomi del panorama jazzistico nazionale del calibro dei fratelli Deidda e Scannapieco, A.Vigorito, J.O.Mazzariello, P.Bisogno, Walter Ricci e Armanda Desidery, il tutto accompagnato dalle ottime specialità culinarie del posto. La serata inaugurale del 5 Febbraio, vedra' sul palco la band campana 6 In Jazz che presentano "Omaggio a Lucio Battisti" con i musicisti Sandro Deidda, (sax tenore & soprano), Alessandro Castiglione (chitarra), Guglielmo Guglielmi (pianoforte),Pierpaolo Bisogno (vibrafono, vibrandoneon e percussioni), Aldo Vigorito(contrabbasso), Peppe La Pusata (batteria); un viaggio musicale e un omaggio alla canzone d'autore con un repertorio battistiano all’insegna dell’improvvisazione jazz. In programma Emozioni, Perché no, I giardini di Marzo, Prendila così, Con il nastro rosa, Sì viaggiare, Aver paura di innamorarsi troppo, e tanti altri successi dell’indimenticabile cantautore, che hanno fatto epoca e che trovano nuova luce in una veste diversa dalle sonorità jazz. Il progetto nasce dall’amore per la musica di due giovani musicisti, Daniele Borrelli e Anna Maria Fortuna, e dalla voglia di diffondere il jazz nella loro città:sogno realizzato grazie alla collaborazione con Pupi&Pupi Management, da anni protagonisti del by night salernitano.